Diamonds are forever, and so is art. This year, forget the flowers and chocolate (send it to me instead? ), and give your Valentine something that will last a lifetime. The Two Are Better Than One print was created using one continuous line. The original has been sold, but ten reproductions are available and no more will be released. These prints come in a protective plastic sleeve, ready to be framed and hung. They are signed and numbered, printed on 9x12 white 100lb archival paper. Using one continuous line, I have illustrated a sound wave of someone saying, "I love you". This work of art was created with pen and ink and has been re-printed on 100lb white archival paper. Each print comes in a protective plastic sleeve, ready to be framed and hung. 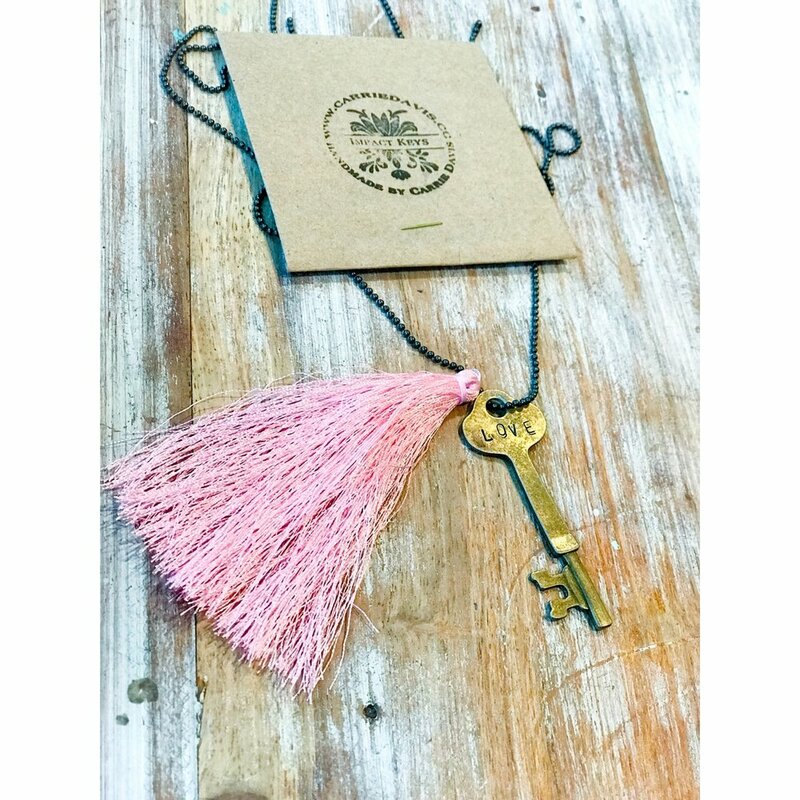 Each Impact Key is hand stamped and comes on a 16-inch brass chain with the tassel of your choice. Tassel color options are pink, red, or brass.